The weather stays its course: grey, calm and damp. 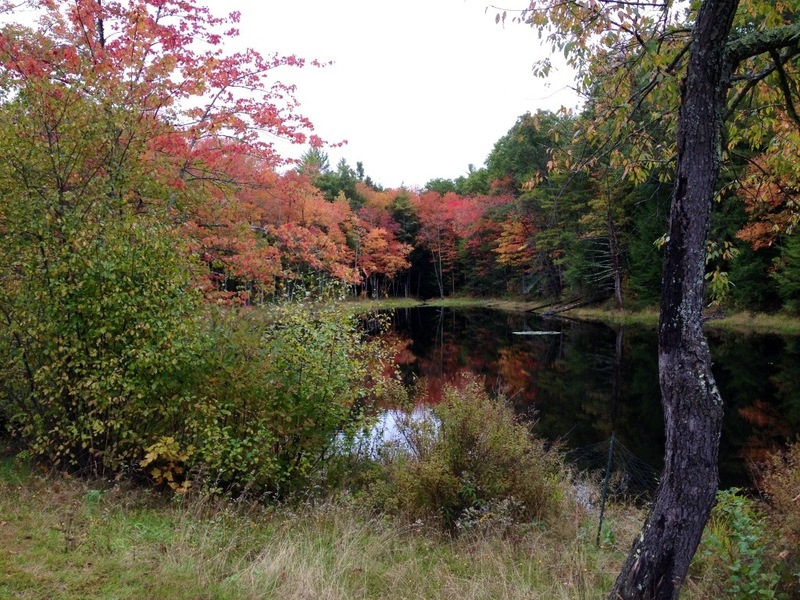 There is no wind to roil the water in the pond. I wandered about the lawn thinking about the stone fences that cross-cross the lot, going up the hill and following the creek. 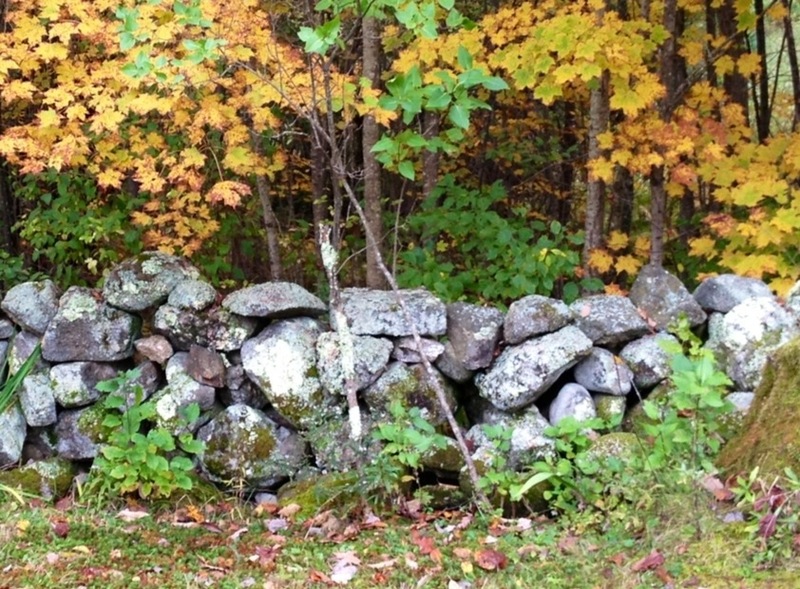 Robert Frost, New Hampsire poet laureate, wrote about two farmers who rebuild their wall. One says, “Good fences make good neighbors.” The other farmer is no so sure. Where do you stand on the subject of walls?